Matt Chinian Painting Blog: Old Cambridge Road, and a new endeavor. 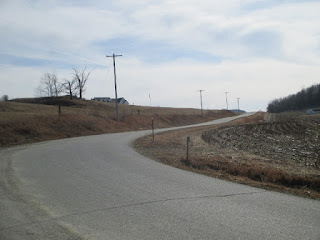 I was drawn to the sweep of the road, the march of the telephone poles and the bright light. Part of this painting life is figuring out how to get the work out. Earlier this month I drew in from a gallery that had my work, It was my decision, they had sold 2 or 3 paintings a couple of years ago, but often my paintings were in storage, my prices were significantly lower than a lot of the other work and it was over a year since they had sold anything, in short I didn't feel it was a good fit. I didn't think they were promoting my work, and wanted to regroup, and I'm happy with that decision. So in some other state of mind I signed up to do an "art fair" type show, and it's this weekend. It entails setting up a booth and manning it myself over three days and 20 hours. I'm not sure this is going to work, I'm really not a "people person" so I expect to be exhausted by all the interactions. Maybe it'll work, so I'll try it and go from there. Wish me luck. 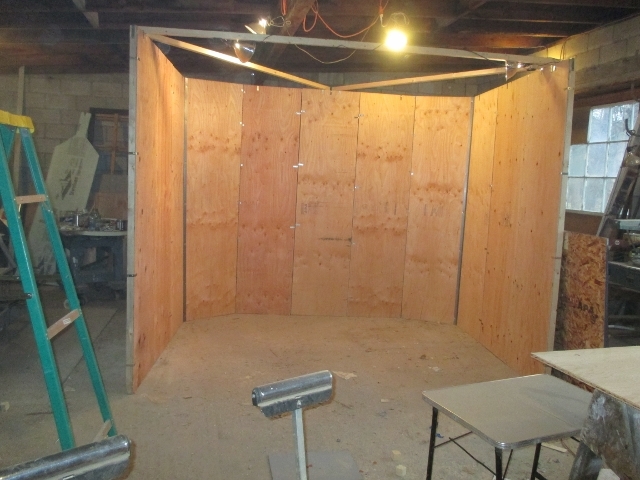 This is the booth I made to fit the space: 10' wide x 7'deep by 8' high , I used 3/8 inch plywood (cut to 2' x 8' panels) piano hinges, 2x4's (split to 2x2's), a bunch of corner irons and sheetrock screws. 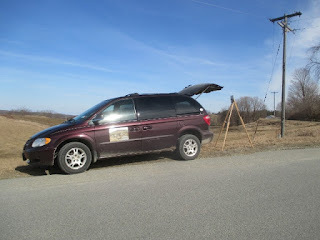 The whole thing can be taken apart, fit into my van then re-assembled on site. 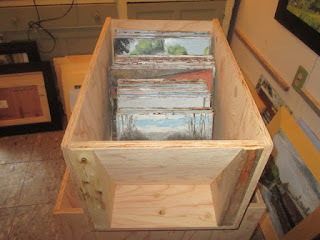 I made 2 boxes to hold unframed paintings, large for the 14x16, 12x16 and 11x14, small for the 11x12, 9x12, 8x10 and 7x10, in total they hold over 80 paintings. 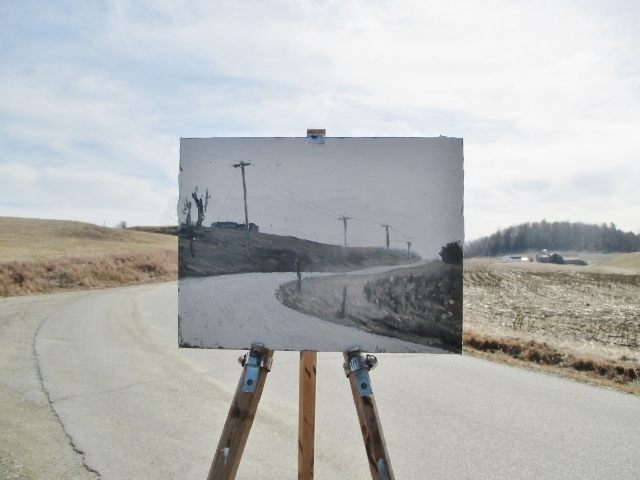 The booth will be able to display around 50 framed paintings. So here is the information, if you are anywhere near, come and visit!